Today rings in the start of the Holiday Guest Blogger series and I'm quite excited over here. I met Sheri in New York during IFB Conference after becoming friends through the blogosphere. 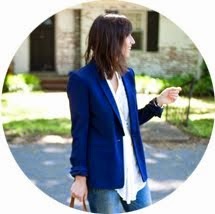 She is super sweet and her blog is creative and filled with inspiration from fabulous recipes to tasty outfits. Enjoy, and be sure to swing by her blog and check it out! Hi Pumpkin Spot readers! Sheri Ann here from the blog Sprinkles and Style. I was thrilled when Becky asked me to participate in her Holiday Guest Blogger series. A big part of my time during the holiday season is spent baking. Cakes, cupcakes, cookies... you name it, I bake it - and always with sprinkles of course! I consider decorated sugar cookies a classic and go-to during this time of the year. While mine may not always turn out so beautiful and picture worthy, I love making them and icing them in pretty colors appropriate for the season. While reds, greens, and golds are common during the holidays, I love the whites, silvers, and pastels used on these cookies. So pretty and lady-like and perfect for a holiday soiree! In my opinion, anyone who says you can't wear white after Labor Day is wrong. 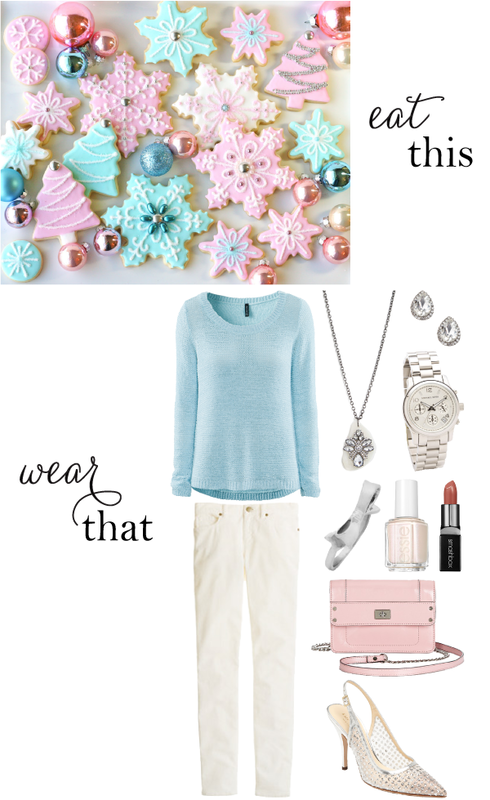 I love the look of these white corduroys paired with a light blue sweater and a pastel pink bag. Add some silver accessories in polka dot glitter heels and pretty baubles and you're all set for some fun holiday festivities! Thank you Becky for letting me take part in this series! Can't wait to see what other great holidays posts are coming! 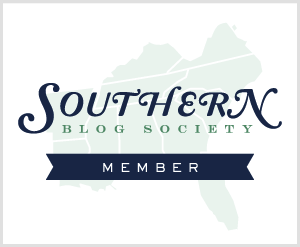 Be sure to stop by later in the week as the Holiday Guest Blogger Series continues! What a great series idea. Great first guest post. Those cookies are so pretty! I love silver for the holidays too.